Happy International Day of Persons with Disabilities! 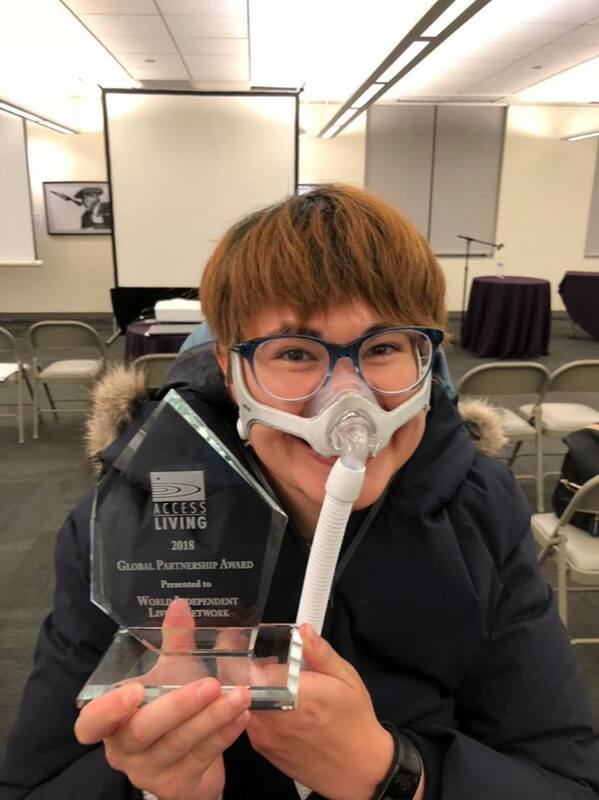 Today became a big day to us as Access Living presented a “Global Partnership Award” to WIN for having contributed to the establishment and development of CILs in Asia, Central and South America, and Africa. Kozo Hirashita, President of the JIL (Japan Council for Independent Living Centers) delivered a short speech, while Noah accepted the award in person. Kozo expressed his deep gratitude especially to Marca Bristo, President& CEO, who have first contributed to build a friendship between U.S. and Japan, to Daisy Feidt, Vice President, who have then strengthened our friendship through her visit to Japan, and finally to Amber Smock, who have been always there to empower Japanese youth with disabilities. 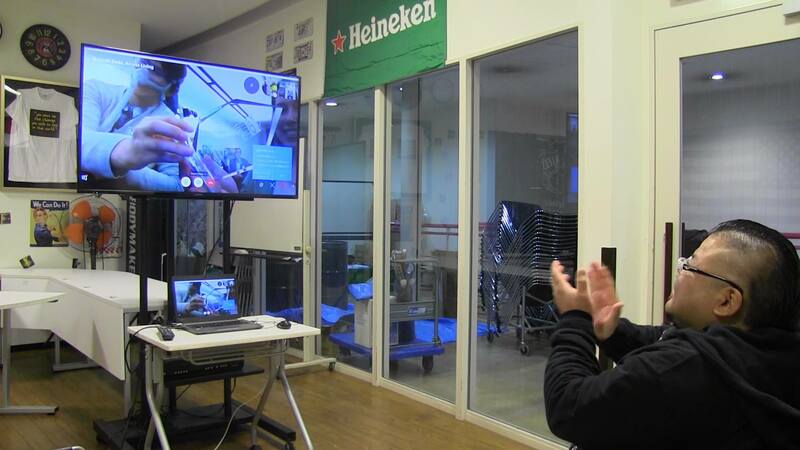 It has been 5 years since Satoshi Sato, Director General of DPI Japan, took an initiative to start a dialogue with American leaders with disabilities in 2014 for the Global IL Movement. Today we have witnessed our bonding getting stronger and stronger through our continuous exchange. We, members of WIN, will continue our collective efforts for every single person in this world, who is waiting for us to touch their lives through the philosophy and practice of IL. Lead on!